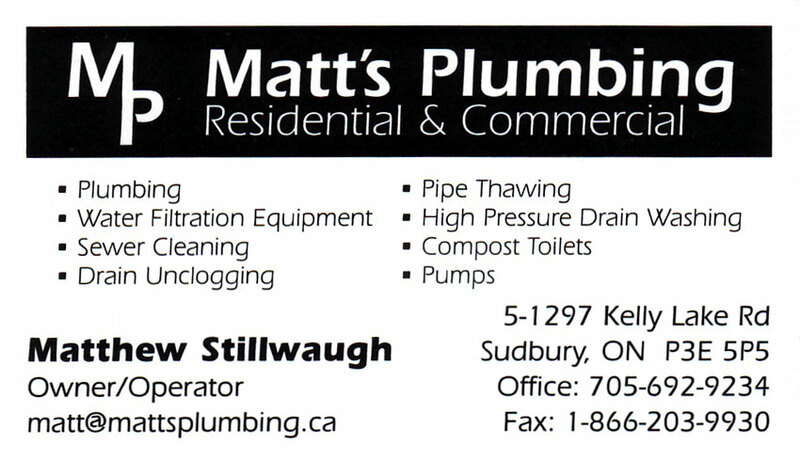 Matt’s Plumbing has been serving the Sudbury area for many years and wants to earn your business. Our loyal customers love our personalized treatment; it keeps them coming back each time a new issue arises. Our customers are like our family. After many years of service in the Sudbury community, we feel confident that we can cater to your needs. We get the job done and we don’t just meet expectations; we exceed them. Our customers keep coming back because we’re dependable, knowledgeable and pleasant to work with. Our employees provide unmatched service, delivering top quality service for your business! Each is committed to personal service. In keeping with this desire, we’re not satisfied with our work until you are. 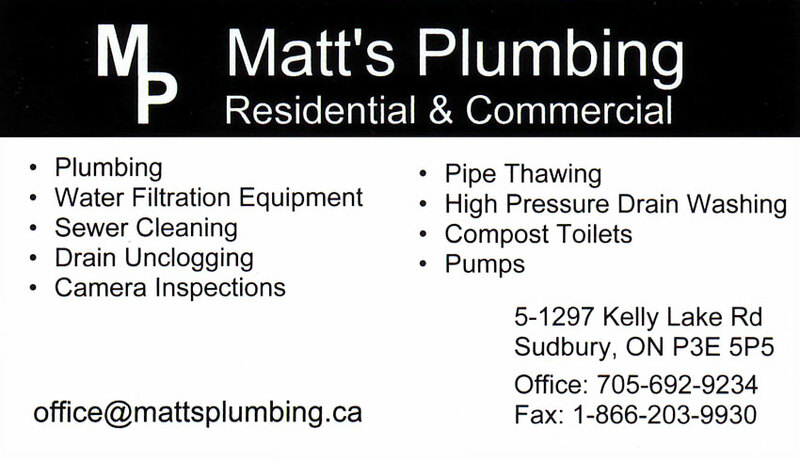 Matt's Plumbing, Plumbers & Plumbing Contractors, Pipe Cleaning & Inspection, Water Filters & Water Purification Equipment, Matts Plumbing, in Sudbury, Ontario. Visa, Mastercard, Cheque, Cash, Debit.